Ideal for special occasions, christenings, or just because they are ever so pretty, Falke Romantic Lace Trim Ankle Socks, in pure white mercerised cotton, are delightfully smooth and soft, with a superb, yet comfortable, elastane-enhanced stretch fit. 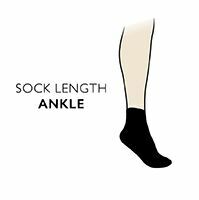 The socks have been made with special reinforced stress zones, making them more durable around wiggly little toes, while protecting those same toes with the handlinked toes for smooth seams. The delicate lace trim adds to the overall prettiness of the socks.